Just watched Frozen again with the family and my mind turned, again, to Walt Disney. Imagination, energy, optimism and decency. 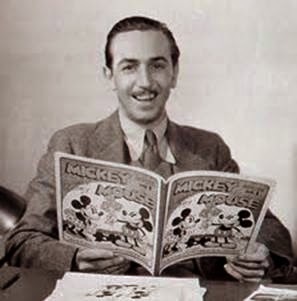 Walt Disney was also a consummate Lean thinker. He practiced the fundamentals every day, including visual management, go see, leader standard work and strategy deployment. His contributions to visual management are legendary. He invented story-boarding, for example, the visual approach to movie-making. He practiced Go See every day. “I see myself as a little bee," he said. "I go from one area of the studio gathering pollen and sort of stimulate everybody." As a result he had a deep grasp of the situation and was able to articulate strategy in compelling ways. Ed Catmull, in his book Creativity Inc, talks about the influence Walt Disney had on him. Ed, along with Steve Jobs and others, is a founder (and now president of) of Pixar. In the first 4 chapters he talks about Disney's influence on him, and how he has used Lean principles to foster a work environment that fosters creativity in his company.